Hosting a spa party is always a wonderful way to share helpful do-it-yourself treatments like facials, manicures and even massages. With the recent boom of the bodywork industry, all sorts of spa-themed get-together's are becoming more commonplace. Party hosts who want to make the experience a memorable one for all participants should have several game ideas up their sleeve. How do games fit in at a typical spa party? 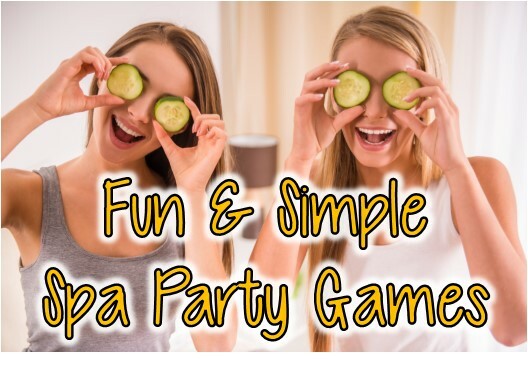 Because there are so many types of activities that can go on during a spa party, games can be a smart way to pass a few minutes while facial masks set, or while beauty bar ingredients are beginning to gel. Event hosts usually have carefully prepared agendas for spa parties; short, simple games are the ideal way to segue from one major activity to another. The following eight games are appropriate for just about any type of spa party, and can accommodate any number of players. For most games, keep in mind that six or more people will yield the craziest, happiest results. Have everyone take a small note card and write one lie and two true statements about themselves. They should not put their names on the cards. The host collects the cards and deposits them into a box or suitable container. One by one, each card is pulled from the box and the three statements are read aloud (by the host or a selected emcee). Everyone has to guess not only who wrote the statements but also must identify the false statement. This is a variation of a truly ancient game that is thought to date back almost 500 years! All guests lie on the floor, but each person's head must rest upon the stomach of another person. If participants are arranged in a zigzag pattern, quite a few people can fit on the floor of a standard living room. Action begins when the first person "in line" emits a laugh consisting of one syllable: "ha." The person whose head is resting on that person's stomach now emits a laugh that consists of two syllables: "ha ha." Each person adds one syllable. This relatively meaningless game is a guaranteed laugh inducer. Before reaching the final participant, the entire room is usually laughing their heads off. The cool, fun contest called "anonymous massage" goes like this: One person is blindfolded while sitting in a folding chair. Each guest gives the sitter a 15-second shoulder and neck massage, preferably while wearing thin medical gloves. The person receiving the massage must guess who is doing the massage. Each guest massages just once, and each correct answer scores a point. The winner gets bragging rights or a silly prize. Guests are paired up and must stand with their noses about two inches apart. They can't talk, but just look at each other until one laughs. However, each is allowed to make funny faces. Laughers are eliminated and a playoff system ends with just two "finalists" going nose to nose until a winner is declared. This is a tried-and-true game for all ages and abilities. The night before the event, the host looks up some of the longest, oddest words in the English language. It helps to do an Internet search for "words that are difficult to spell." In standard spelling bee fashion, the words are called out one by one. The first person to spell one correctly is the winner. This ice-breaker of a game is a blast for all ages. One by one, guests who wish to participate in the game stand in front of the group and imitate any animal they wish. Everyone else rates the imitations on a one-to-ten scale. Scores are tallied to see who the best "animal imitator" is. (This is a game that even small children absolutely love to play). The first player says a word. Each player adds a word, but must repeat ALL the prior words. Sitting in a circle, whoever makes a mistake is eliminated. If you are having a consultant party you can alter this and have all the words be one of your products. If this is for a Birthday party or bridal shower you can make the words be about the Birthday girl or bride to be. Everyone in the game stands and tells a joke. If they don't know one, they can choose one from the host's prepared list (again, the Internet comes in very handy here). Allow all joke-tellers a few minutes to rehearse for their "performances." Similar to Animals Got Talent, each amateur comedian is rated by the audience. The winner is elected "official comedian of the party." any spa party a smashing success! Prepare a detailed agenda to assure an interesting event. Plan for at least six, and no more than 12, games per party. Explain each game in detail before play begins. Early on, announce that game participation is completely voluntary. After explaining game rules, allow guests to ask questions. Award nominal, silly prizes for a few of the games. If weather permits, try to hold at least one game outdoors. If children are present, remember to keep all the games "G-rated." Ask guests to turn their devices off before play begins. Every guest need not participate in every spa party game. Indeed, there might be a few folks who are happy just to watch the action unfold. There is no need to push anyone who would rather "sit it out" and relax while others play. The best party games are designed for any number of players, and are easy to learn in just a minute or two. Clever hosts don't want to waste time with complicated rules. Spa parties that feature at least five very simple, enjoyable games that can work with a few or many participants are always a hit.